Victim of domestic abuse removes the physical and emotional scars of her brutal attack with the help of a local plastic surgeon. Like many cases of domestic violence, the nightmare for Christina Oliveira was relived daily. Fear for the safety of her three sons, and humiliation from friends and neighbors, forced her to endure the continued suffering in silence. One morning she awoke and made the most important decision of her life, she decided that she was no longer going to be a victim of domestic violence. She began divorce proceedings against her husband Vanderlei Rocha de Oliveira, and even took a restraining order out against him fearing for her safety. On the evening of October 13, 2008, as she slept in bed with her infant son, she awoke to Vanderlei stabbing her in the abdomen with a kitchen knife. She tried desperately to scream, but Vanderlei was on top of her covering her mouth. Fearing for her infant’s safety, she positioned her body in front of the child, as she tried to fight off her attacker. Christina’s 12 year old son, who was asleep in the next room, was awoken by all the commotions. He entered her room, and turned the lights on, to find his father violently attacking his mother. Vanderlei became startled when his son entered the room, he then dropped the knife and fled the scene. Christina’s son called 911 and she was taken by ambulance to University Hospital in Newark, NJ, where She received emergency exploratory surgery for multiple stab wounds to her abdomen. When Christina awoke the next day in the intensive care unit, she realized the severity of her injuries. She remained in the hospital for almost two weeks, before she was discharged to a woman’s shelter. Christina lived in the woman’s shelter for 11 months. Unable to walk for almost two months, Christina received physical therapy and wound care by the nursing staff. Vanderlei fled to his native country of Brazil, where he escaped prosecution for attempted murder, and is rumored to be walking the streets of Minas Gerais, Brazil a free man. As time passed, Christina noticed her surgical scars were widening, and growing in size. Christina developed a large incisional hernia (http://en.wikipedia.org/wiki/Incisional_hernia), pursuant to her exploratory surgery, that was becoming more painful daily. Christina’s former svelte abdomen, was now disfigured with multiple keloid scars (http://en.wikipedia.org/wiki/Keloid_scars) and a large hernia (http://en.wikipedia.org/wiki/Hernia). Her scars served as a daily reminder of her brutal attack, and a tremendous blow to her self esteem. Christina was referred to several surgeons by the shelter, however, none of them were willing to take her case. She decided to take matters into her own hands and began searching for a surgeon who could repair the damage on her abdomen. Christina noticed an advertisement for Dr. Joseph Racanelli, a plastic and reconstructive surgeon with offices in New York and New Jersey. After a brief consultation with Dr. Racanelli, he agreed to accept her case. Dr. Racanelli reached out to the New Jersey Victims Crime Board, in an effort to provide assistance with the hospital and anesthesia charges associated with her surgery. On September 14th, 2009 Christina underwent an abdominoplasty (http://en.wikipedia.org/wiki/Abdominoplasty), incisional hernia repair, liposuction of her flanks, and multiple scar revisions. Immediately after the surgery Cristina noticed her impressive results. Not only was her painful hernia repaired, but her abdomen was transformed back into something she could be proud of. Although her psychological scars still remain, the boost in her self confidence that she received from her surgery has kick started her efforts to begin a new life along with her 3 sons. Dr. Joseph A. Racanelli is a plastic and reconstructive surgeon, with offices in New York City, Brooklyn and New Jersey. Dr. Racanelli specializes in cosmetic plastic surgery procedures such as Abdominoplasty, Liposuction, and Breast Augmentation. A consummate perfectionist, Dr. Racanelli is committed to providing the finest medical treatment possible. His attention to detail, appreciation for symmetry, and aesthetic eye coalesce to provide beautiful and natural results for his patients. Complete patient satisfaction is Dr. Racanelli’s number one priority. Understanding the importance of your time, and in addition to his regular office hours, Dr. Racanelli routinely performs evening and weekend consultations by appointment. 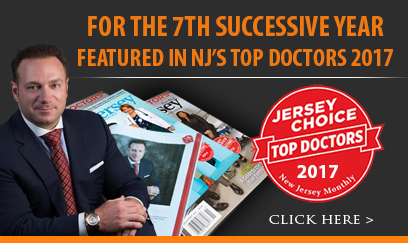 Dr. Racanelli has four offices conveniently located throughout New York and New Jersey.